Sublimation is the phase transition of a substance directly from the solid to the gas phase without passing through the intermediate liquid phase. Sublimation is an endothermic process that occurs at temperatures and pressures below a substance's triple point in its phase diagram, which corresponds to the lowest pressure at which the substance can exist as a liquid. The reverse process of sublimation is deposition or desublimation, in which a substance passes directly from a gas to a solid phase. Sublimation has also been used as a generic term to describe a solid-to-gas transition (sublimation) followed by a gas-to-solid transition (deposition). At normal pressures, most chemical compounds and elements possess three different states at different temperatures. In these cases, the transition from the solid to the gaseous state requires an intermediate liquid state. The pressure referred to is the partial pressure of the substance, not the total (e.g. atmospheric) pressure of the entire system. So, all solids that possess an appreciable vapour pressure at a certain temperature usually can sublime in air (e.g. water ice just below 0 °C). For some substances, such as carbon and arsenic, sublimation is much easier than evaporation from the melt, because the pressure of their triple point is very high, and it is difficult to obtain them as liquids. The term sublimation refers to a physical change of state and is not used to describe the transformation of a solid to a gas in a chemical reaction. For example, the dissociation on heating of solid ammonium chloride into hydrogen chloride and ammonia is not sublimation but a chemical reaction. Similarly the combustion of candles, containing paraffin wax, to carbon dioxide and water vapor is not sublimation but a chemical reaction with oxygen. Sublimation is caused by the absorption of heat which provides enough energy for some molecules to overcome the attractive forces of their neighbors and escape into the vapor phase. Since the process requires additional energy, it is an endothermic change. The enthalpy of sublimation (also called heat of sublimation) can be calculated by adding the enthalpy of fusion and the enthalpy of vaporization. Comparison of phase diagrams of carbon dioxide (red) and water (blue) showing the carbon dioxide sublimation point (middle-left) at 1 atmosphere. As dry ice is heated, it crosses this point along the bold horizontal line from the solid phase directly into the gaseous phase. Water, on the other hand, passes through a liquid phase at 1 atmosphere. Naphthalene is a solid that sublimes at standard atmospheric temperature with the sublimation point at around 80˚C or 176˚F. At low temperature, its vapour pressure is high enough, 1 mmHg at 53˚C, to make the solid form of naphthalene evaporate into gas. On cool surfaces, the naphthalene vapours will solidify to form needle-like crystals. Solid compound of naphthalene sublimed to form a crystal-like structure on the cool surface. Camphor subliming in a cold finger. The crude product in the bottom is dark brown; the white purified product on the bottom of the cold finger above is hard to see against the light background. And Sublimations we make for three causes, The first cause is to make the body spiritual. The second is that the spirit may be corporeal, And become fixed with it and consubstantial. The third cause is that from its filthy original. It may be cleansed, and its saltiness sulphurious May be diminished in it, which is infectious. Sublimation predictions The enthalpy of sublimation has commonly been predicted using the equipartition theorem. If the lattice energy is assumed to be approximately half the packing energy, then the following thermodynamic corrections can be applied to predict the enthalpy of sublimation. Assuming a 1 molar ideal gas gives a correction for the thermodynamic environment (pressure and volume) in which pV = RT, hence a correction of 1RT. Additional corrections for the vibrations, rotations and translation then need to be applied. From the equipartition theorem gaseous rotation and translation contribute 1.5RT each to the final state, therefore a +3RT correction. Crystalline vibrations and rotations contribute 3RT each to the initial state, hence −6RT. Summing the RT corrections ; −6RT + 3RT + RT = −2RT. This leads to the following approximate sublimation enthalpy. A similar approximation can be found for the entropy term if rigid bodies are assumed. 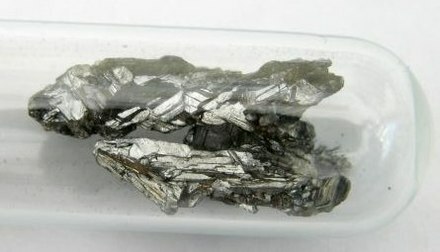 Solid State. Chichester: Wiley and Sons. ^ McDonagh, J. L.; Nath; De Ferrari, Luna; Van Mourik, Tanja; Mitchell, John B. O. (2014). "Uniting Cheminformatics and Chemical Theory To Predict the Intrinsic Aqueous Solubility of Crystalline Druglike Molecules". Journal of Chemical Information and Modeling. 54 (3): 844. doi:10.1021/ci4005805. ^ McDonagh, James; Palmer, David S.; Van Mourik, Tanja; Mitchell, John B. O. (17 October 2016). "Are The Sublimation Thermodynamics of organic molecules predictable?". Journal of Chemical Information and Modeling. 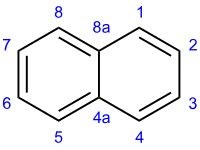 doi:10.1021/acs.jcim.6b00033. ISSN 1549-9596.